Royal Lahaina Resort, Hawaii 5.0 out of 5 based on ratings. 2 user reviews. Looking for old world Hawaiian charm? Unforgettable Honeymoons recommends the Royal Lahaina to couples seeking a casual resort atmosphere. 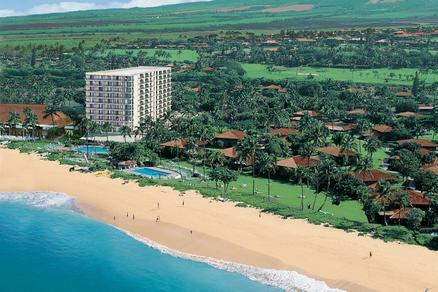 This moderately priced Maui resort is set on the best beach in Maui , just north of Black Rock. The wide stretch of white sand beach is always quiet at the Royal Lahaina Resort. Most of the beach sits in front of a golf course, and cottages are scattered in the garden and beachfront. The ocean is calm and good for swimming. Royal Lahaina is on the best beach in Maui. Old world Hawaiian charm awaits you at this legendary hotel. Highlights: near Lahaina town, rooms set in cottages along beach, best stretch of quiet beach in Kaanapali area, near good shopping, resort has a nice pool area, and hosts a really nice Luau.